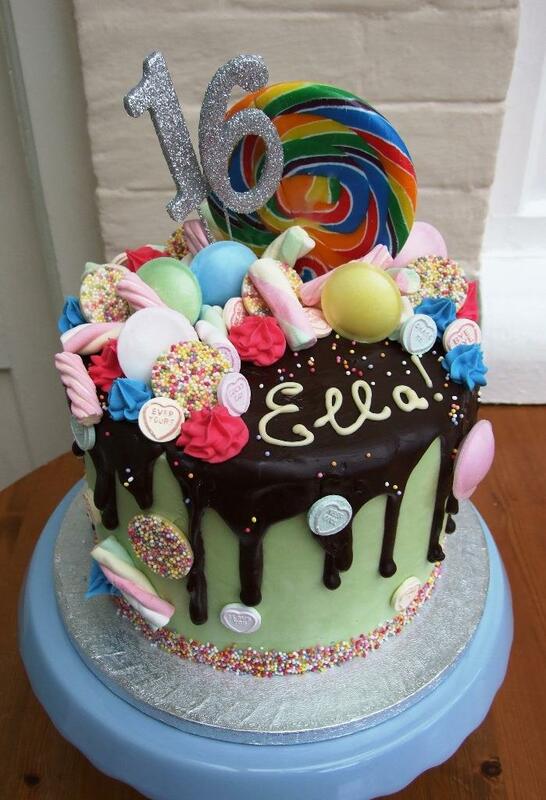 It seems like the only type of birthday cake that will do at the moment is a drip-topped birthday cake! These are technically tricky to do at first (I had some spectacularly bad attempts! ), but now I’ve got the hang of it, I’ve got drips going down and up my cakes! 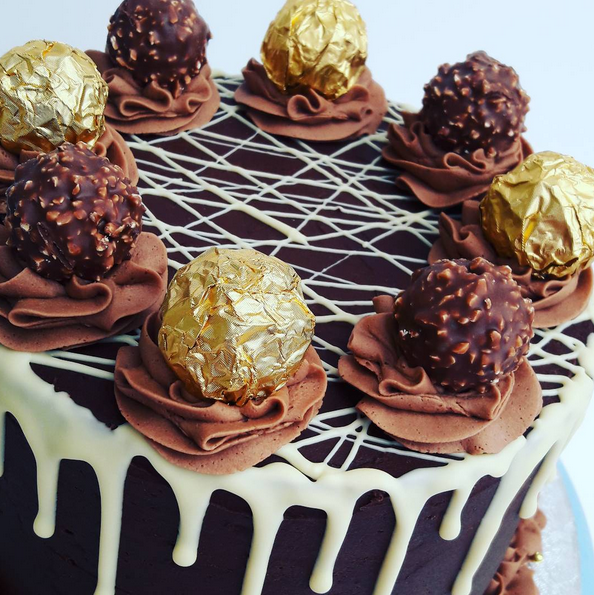 More and more people are asking for this show-stopping cake for any occasion. 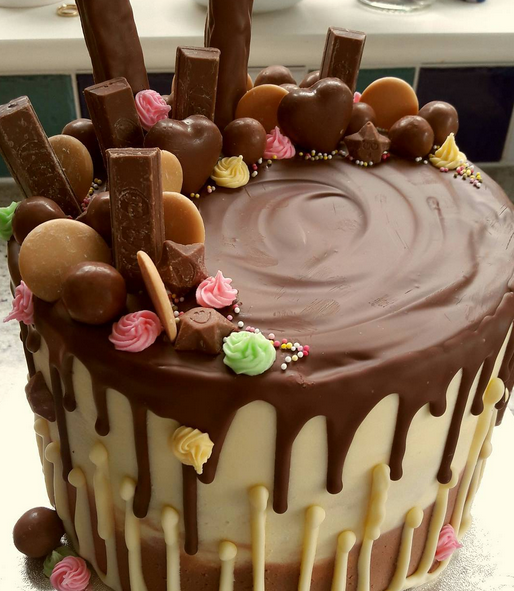 The best thing about the drip-cake is that you can put whatever you like on top of the drippy, glossy, chocolatey topping. 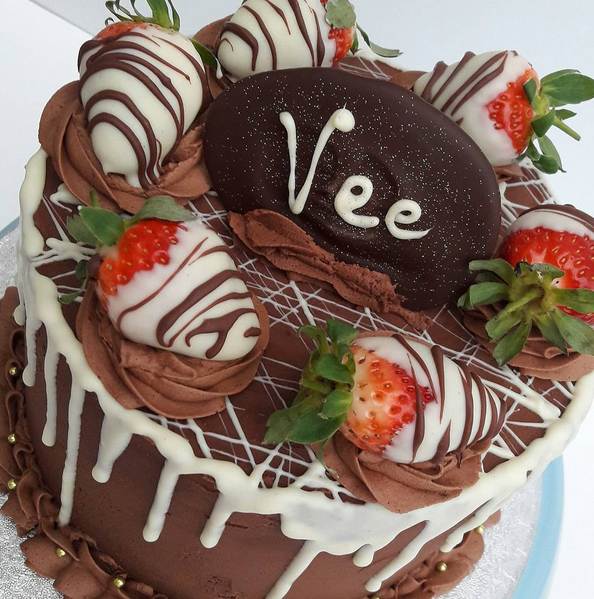 Kids love loads of sweets, or you could go for more sophisticated dipped strawberries, or just indulge your love of chocolate! Which one would you choose? The fruity or Ferraro-Rocher option? Sweets or truffles? 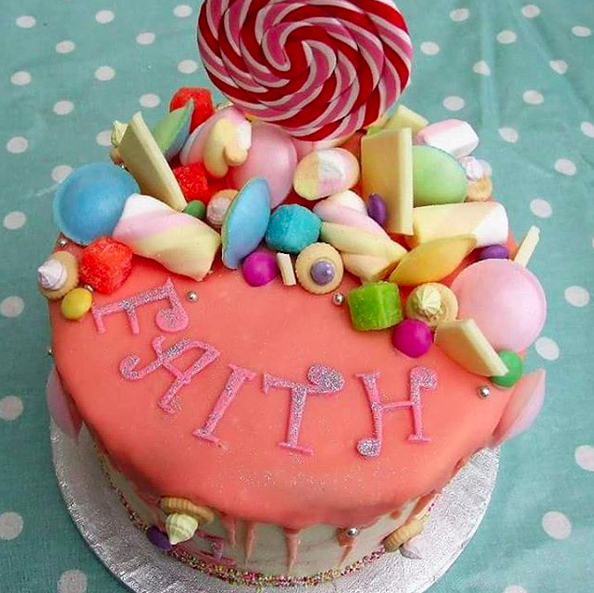 Here are some of my favourite cakes from the last few months to inspire you! With strawberries… one of your five a day?